The English landscape painter and poet passed through Gjirokastra twice, once in 1848 and again in 1859, during his Balkan journeys. These were the twilight years of the Ottoman Empire and Lear vividly described and painted a world that was fast disappearing. He stayed in a guest house in the centre of Gjirokastra and was delighted by the colorful life he witnessed. Many of the landscape paintings and sketches he made during the journey provide an accurate topographical record of mid-nineteenth century Albania. On his return to England he published Journals of a Landscape Painter in Albania (1851). Lord Byron was initially christened George Gordon after his Grandfather. At 10 years old he became the sixth Baron Byron after the death of his uncle. Byron and his mother were deserted by his father, and the young man lacked a strong role model to check his rebellious streak. Although educated at Harrow and Trinity College Cambridge, where he developed a love of history and literature, Byron remained an adventurous romantic throughout his life. Byron published several volumes after leaving university including, in 1807, Hours of Idleness, which received much criticism. He left Britain in 1809 travelling to a number of countries including Albania, returning in 1912. 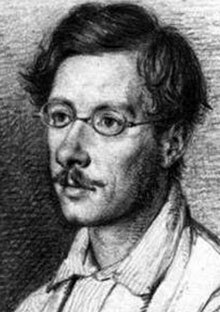 On his return he published Childe Harold’s Pilgrimage, a largely autobiographical narrative poem that tells the story of a young man’s disillusionment with an extravagant lifestyle and his search for fulfillment as he travels through foreign lands. 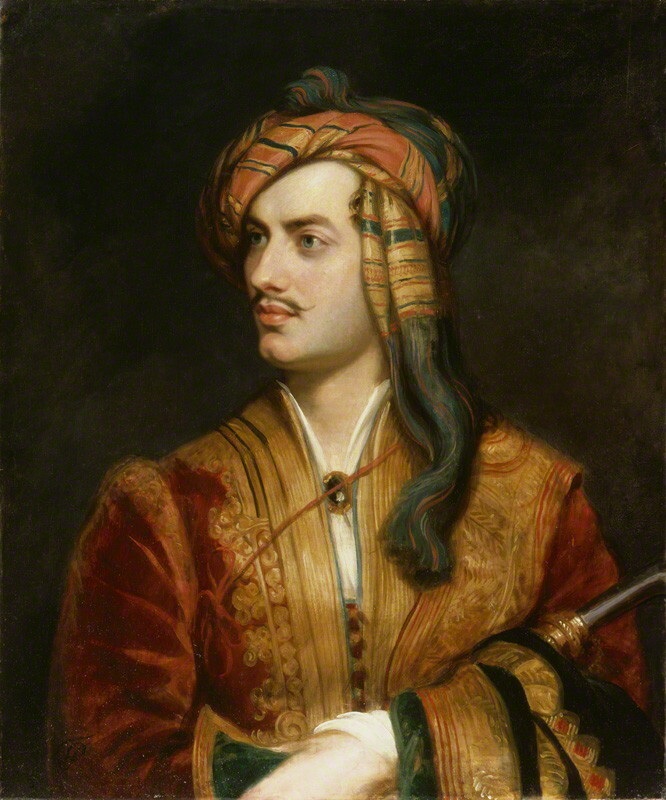 Lord Byron’s visits to southern Albania in 1809 made a great impression upon him. In the Albanians he found a peculiar charm which he describes in his notes for Childe Harold’s Pilgrimage. He states that the Albanians “struck me forcibly by their resemblance of the Highlanders of Scotland, in dress, figure and manner of living. Their very mountains seemed Caledonian, with a kinder climate. The kilt, though white; the spare, active form; their dialect, Celtic in its sound…” In the summer of 1813 Byron put on the Albanian costume he had purchased in Ioannina and sat for the fashionable portrait painter Thomas Phillips. The verse below, taken from Childe Harold’s Pilgrimage describes Byron’s journey north through the Drino valley. Swelling the breeze that sigh’d along the lengthening glen.